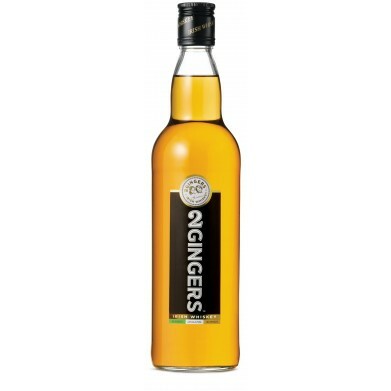 2 GINGERS IRISH WHISKEY LTR for only $24.99 in online liquor store. According to a report in the Star Tribune, 2 Gingers Irish whiskey is the product of pub owner Kieran Folliard, who commissioned his own label.He claimed his Minnesota pub "The Local" sold more Jameson than anywhere else in the world. Due to his own pride in ownership and also to rising prices in Jameson, Folliard turned to his own personal whiskey.It is produced at Kilbeggan (formerly Cooley) Distillery by contract. The label itself was purchased by Beam, Inc in December, 2012 to expand its production outside of Minnesota.